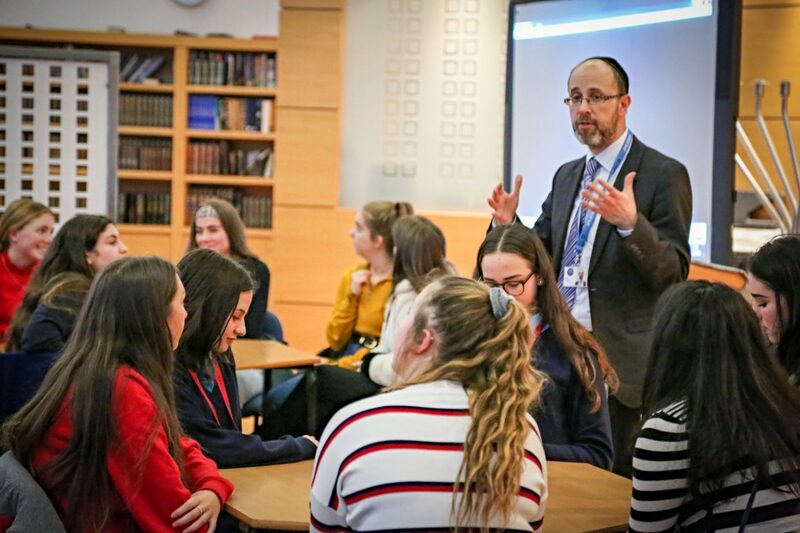 We were delighted to host staff and students from the Howells Girls School in Cardiff as part of the JFS outreach programme with the Board of Deputies. The event was led by Mr Rinkoff, the Head of Faculty for Jewish Education at JFS, with the help of eight JFS ambassadors. Our visitors spent time with our students in an informal atmosphere comparing what it is like to be a female Jewish student. Topics discussed included Shabbat, Chagim (Festivals), Kashrut, dress and even social life! Finally everyone participated in a Q and A session and watched a video outlining Jewish formal and informal education at JFS over tea and Danish pastries.